$399 SPECIAL - ENQUIRE NOW! a) Evening Courses - you do your thoery and pool sessions over 4 evenings (from 6:30pm to 9:30pm normally) and your open water dives over one weekend. b) Weekend Courses - you do your entire course of two consecutive weekends. c) Weekday Courses - you do a 3 day block course during the day over consecutive days. d) Private Course - we schedule a course around you. The cost of this depends on the number of people you have - please call us for more information. Why should I dive with Kiwi Divers? 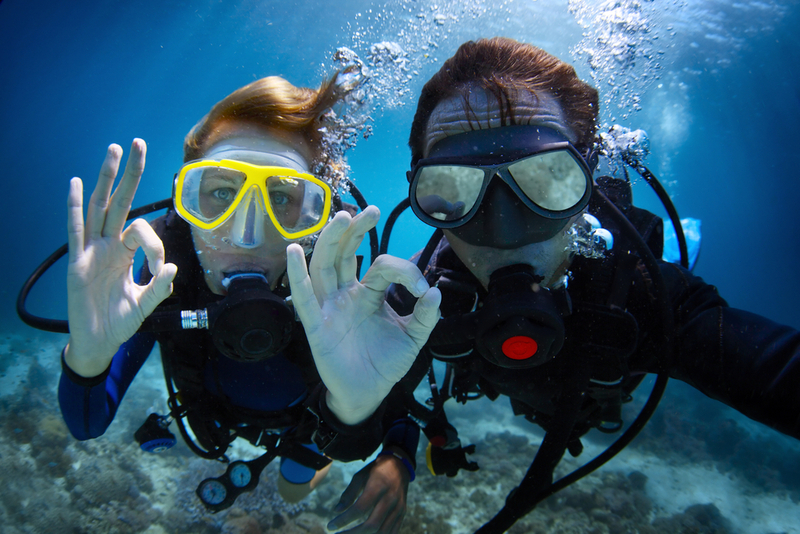 Cost includes all training and reference materials, scuba equipment and certification card.